Are you ready to begin a construction project? Do you need to make sure your land is properly prepared before the trucks start rolling in? 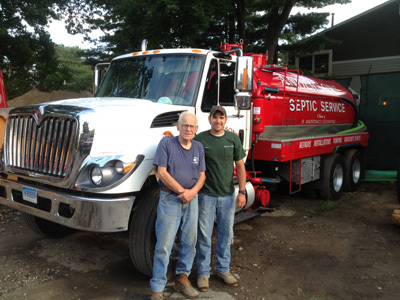 Arnold Andronaco (Poppy) with grandson, Brian Andronaco, Jr.
Anderson's Septic Service / Andronaco Excavating has been providing safe and thorough excavation services for many years, and we have the skills and integrity to make sure your project stays on solid ground. We also provide a wide range of septic tank services, and are fully equipped to handle jobs of any size, proportion, or degree of difficulty. 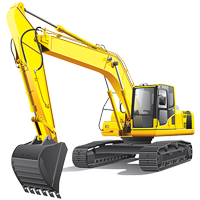 When considering excavating contractors, you need someone who is experienced and knows how to find out what lies beneath the ground before digging begins. A ruptured water pipe or cut utility line can be dangerous and also cost thousands in repairs and related damages. 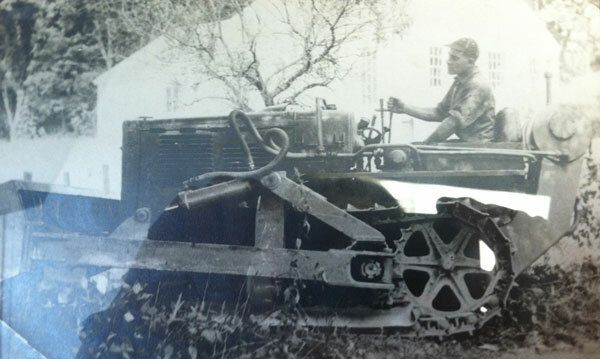 Experienced excavating contractors will do their research before digging in order to identify potential hazards. For quality, value, and service, you can't beat the septic system professionals at Anderson's Septic Service / Andronaco Excavating. 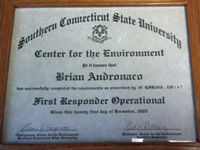 Please browse the rest of this website to learn more about our services and capabilities. For all your excavating and septic system needs, remember the experts at Anderson's Septic Service / Andronaco Excavating!